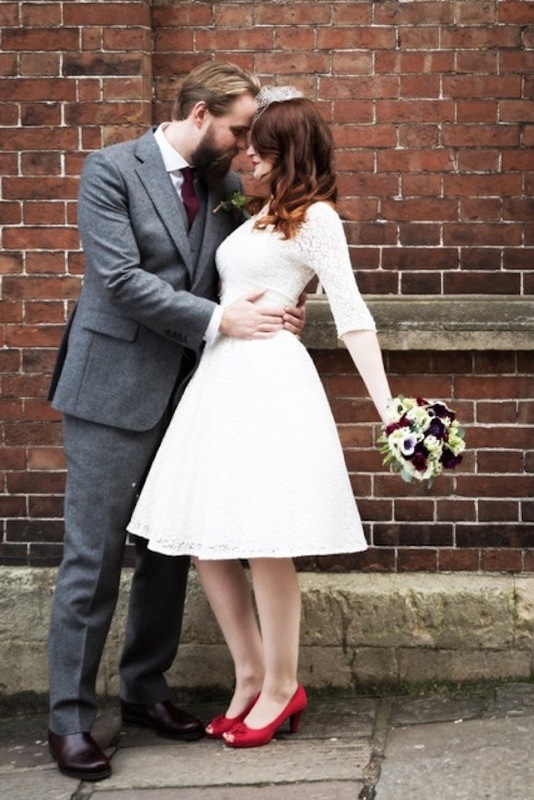 For her Bristol wedding, Carly chose this original 1950s wedding dress – so pretty with its nipped-in waist, frothy full skirt and all-over cotton lace. 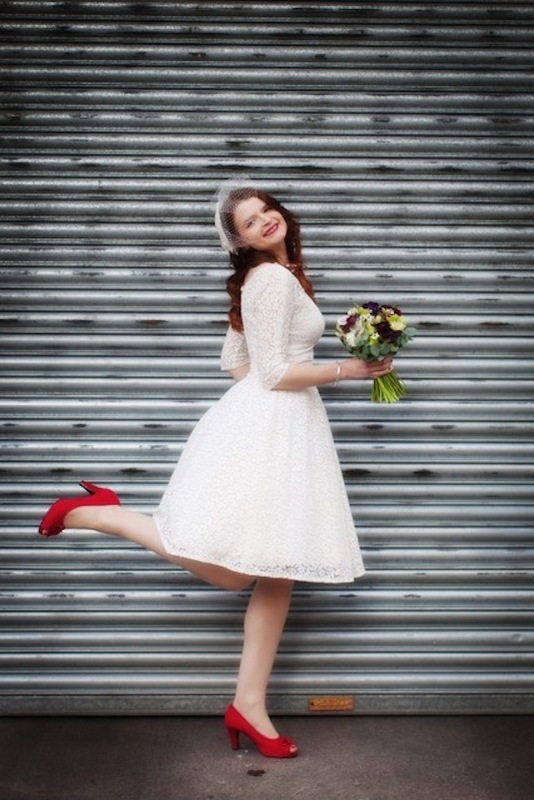 Carly looked amazing in the dress, teamed with sassy red peep-toe shoes and a neat birdcage veil. And it suited her lovely personality to a T.
1950s wedding dresses are made to show off your curves, so a perfect fit is important. As soon as lovely Carly tried on this beautiful dress, it looked gorgeous on her. But as always, a few subtle and clever alterations can still make a big difference – lifting a dress from pretty to fabulous. That’s where my secret weapon – super-talented seamstress Grace – comes in. 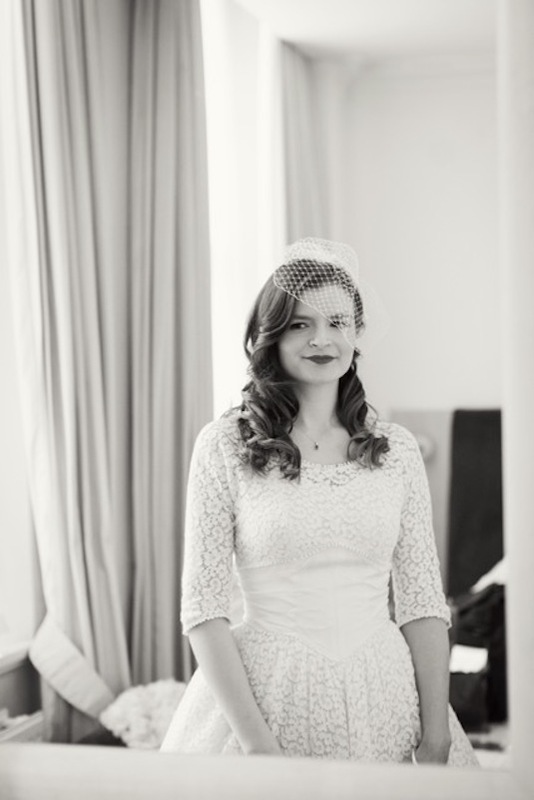 As well as ensuring this dress perfectly fitted Carly’s lovely figure, Grace even made the pretty teardrop headpiece and veil to go with it.